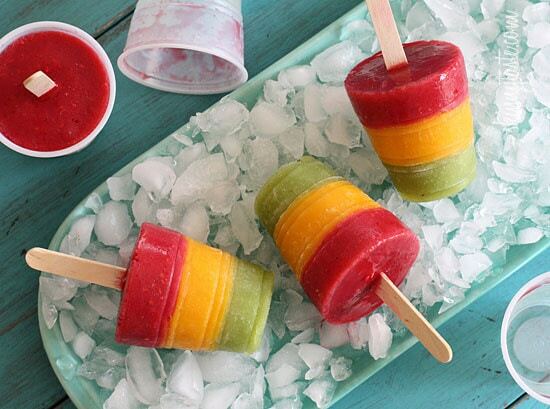 Cool off with these homemade frozen fruit pops made with fresh mango, kiwi, raspberry fruit puree. 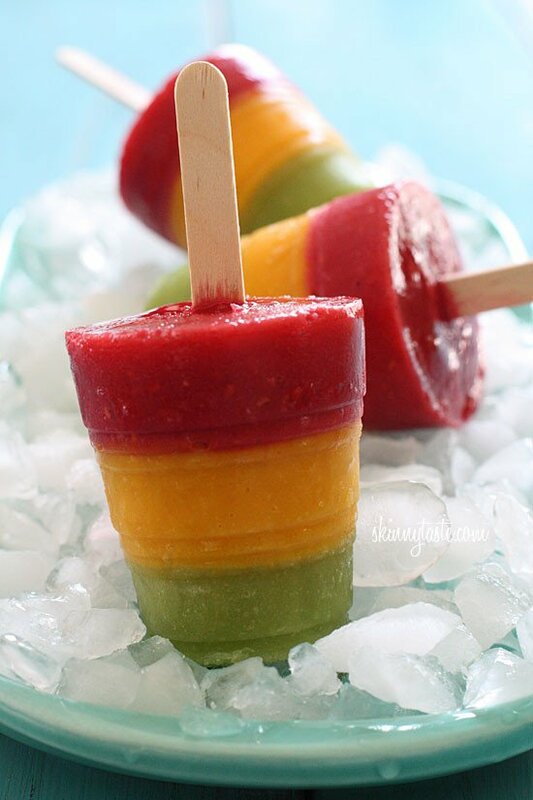 More of my favorite summer treats are Cherry Lime Ice Pops, Pina Colada Ice Pops, Frozen Coconut Mango Pops and Avocado Coconut Popsicles. Aren’t these the prettiest things! 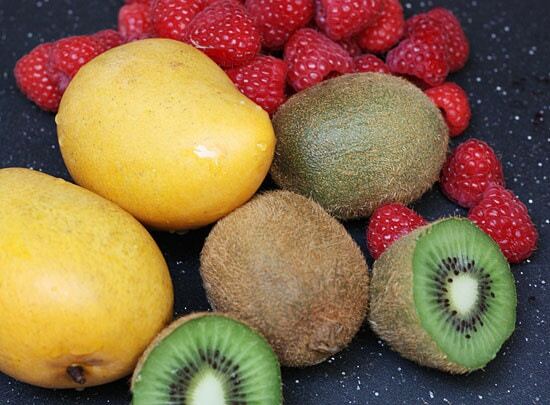 I just love the vibrant colors you can get from using fresh fruit, and the flavors are refreshing and sweet. Use any fruit you wish, I added a little sugar because my fruit tasted a little tart, but you can leave it out or use stevia if you prefer. Make a simple syrup by combining water and sugar in a small pot and bring to a boil; boil for about 4-5 minutes on medium heat. 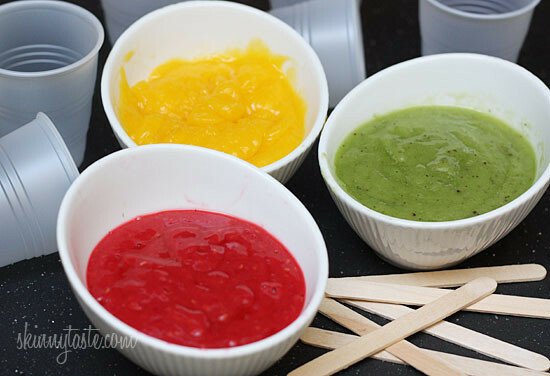 Puree fruit separately in the blender (I used my magic bullet). Set aside in 3 small bowls. 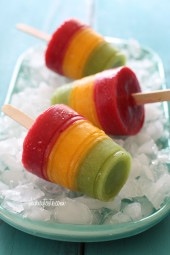 Equally fill four small 5 oz cups with the kiwi puree and place in the freezer; freeze one hour. Add mango puree and freeze 20 minutes. Insert sticks and freeze at least 2 hours. Add raspberry puree and freeze overnight.